So there we are driving north on one of the few roads on the Isle of Skye – a coastal road that has few towns, few houses and quite a few sheep. 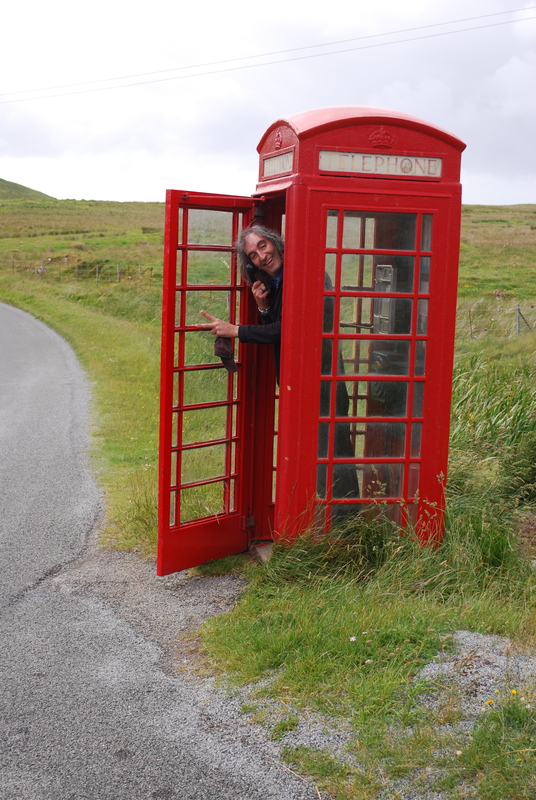 And right there in the middle of nowhere is one of the quintessential phone booths. Someone yelled, “Stop! Photo op! Poor Russel – then someone asked him to get IN the booth.